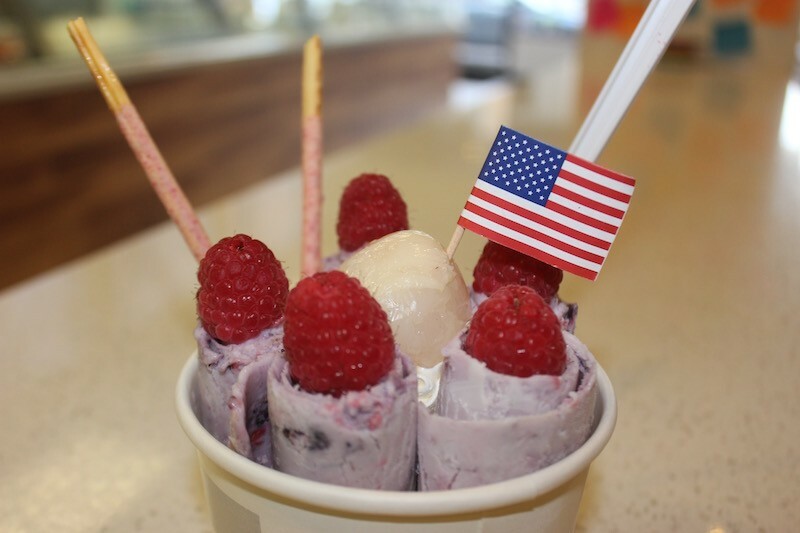 The "Nocturne" — Thai-style ice cream rolls comprised of vanilla ice cream with blueberry, blackberry and raspberry, with strawberry sauce. 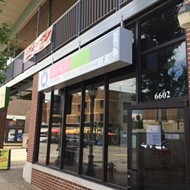 Snow Factory (6602 Delmar Boulevard), the trendy ice cream spot that opened two weeks ago in the Delmar Loop, is one of the few places in the entire Midwest serving Thai-style ice cream rolls. The treat, now the toast of New York City, is "cooked" on an ice-cold hibachi table, then formed into elaborate rolls. But that's not the only unique treat owner Van Liu is serving. 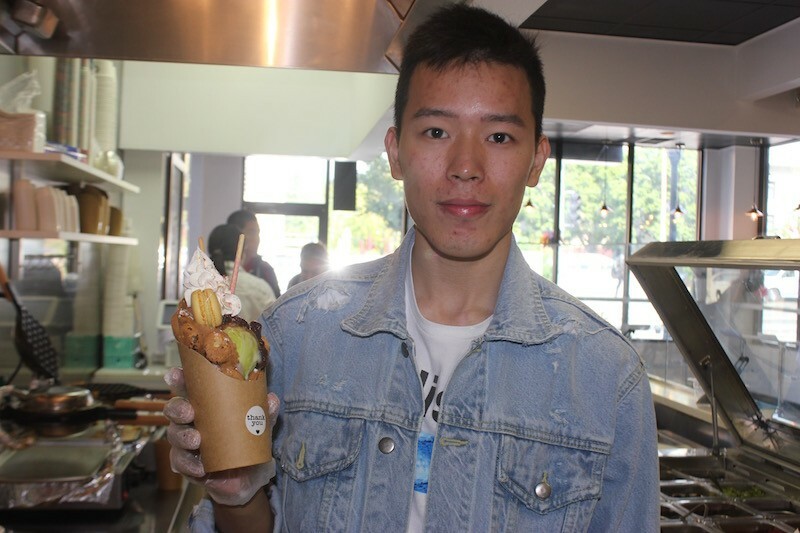 He's also offering a delicious item straight out of Hong Kong — "egg waffle ice cream," which combines scoops of ice cream and other toppings with a cutesy waffle hot off the iron. 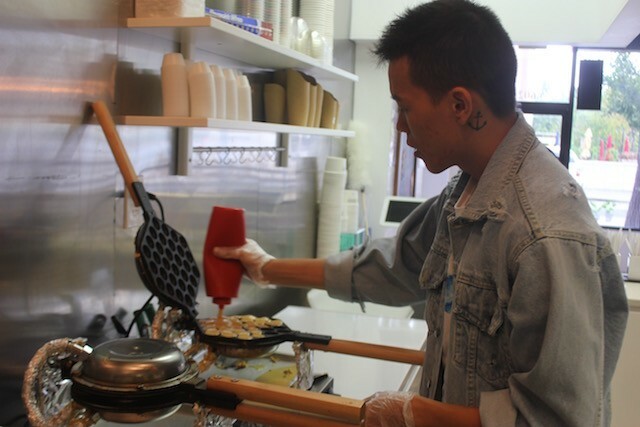 This isn't your grandma's idea of a waffle cone; Liu and his staff make the batter each morning and pour each waffle so it's fresh with your order. Piping hot, crispy on its bubbly exterior and soft and warm inside, it's the perfect complement to a subtly flavored scoop of green tea ice cream, topped with red bean paste. Suffice it to say, this is not Ted Drewes. Forget basic old vanilla and chocolate — here you're more likely to try lychee, Thai tea, taro or sesame. But it's not all exotic flavors; you can load up on toasted marshmallow egg waffle ice cream or a "Sunset St. Louis" with Nutella and banana if you prefer. Go subtle or go sweet; the shop is serious about food, but they're also having a ton of fun. The space, too, is cute and sleek in a way that evokes modern Asian style without resorting to kitsch. 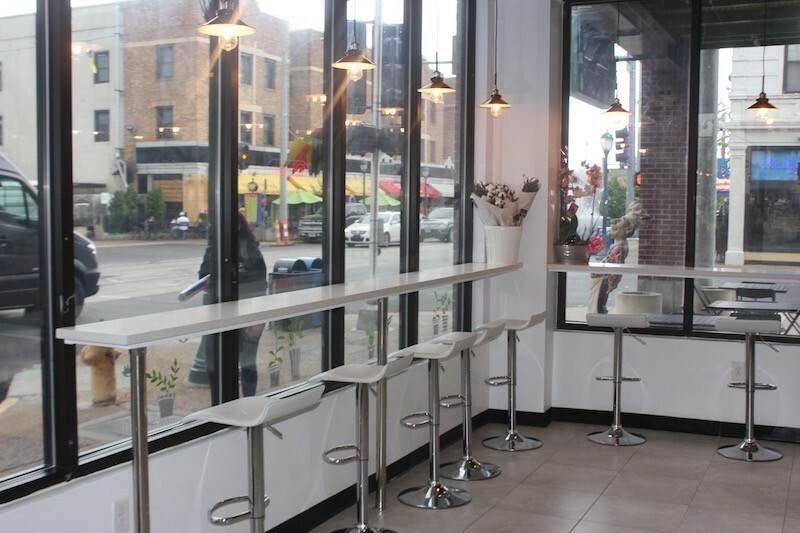 Snow Factory's white brick walls include adorable little booths, perfect for two but impossible for three. Join the many customers who've left observations on brightly colored Post-Its, or grab a seat at the communal table or one of the stools facing the Delmar streetscape. Wherever you sit, the music is thumping. Liu is still in college, a senior at the University of Missouri-St. Louis. He expresses joy with his business launch. "It's been so great," he told us last Friday. "We've already sold 3,500 cups of ice cream, 500 cups of egg waffle. It's been cloudy and rainy, and we've still had a lot of people come in." 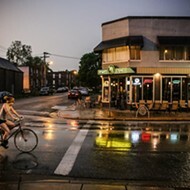 The place draws from the Loop foot traffic during the day, but Liu says it's especially hopping at night — they're open until 11:30 p.m., and have been serving people right up to the very end. They're noticing their clientele isn't just coming once, say, to post a pretty pic on Instagram; they're returning again and again. "We have these cards where you need to get ten stamps, and the tenth one is free," Liu marvels. "People are already on their fifth, sixth stamp." 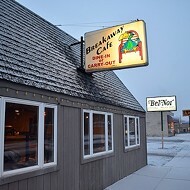 Brand new though it is, Snow Factory is already preparing to innovate. Liu is getting ready to introduce a third style of treat, a rose ice cream that forms the flavors into gorgeous creations that look just like a rose. It's very trendy now in Korea — which could become the third stamp on Snow Factory's well-traveled ice cream passport. "I can't wait to try it out," Liu says. "I want people to be amazed." See below for more photos of Snow Factory. Booths are a perfect spot to whisper with a date, or just a good friend. 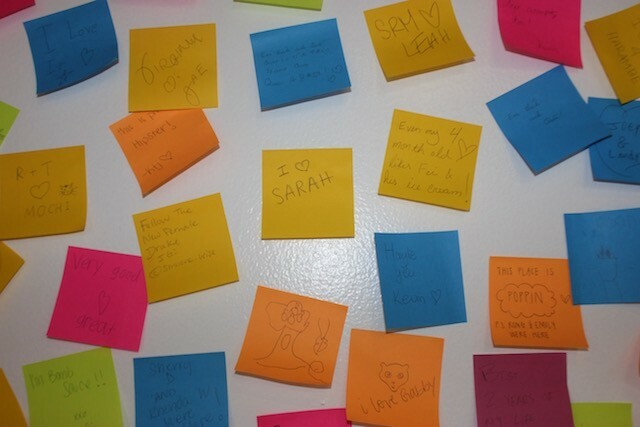 Those Post-It notes contain messages from previous customers. 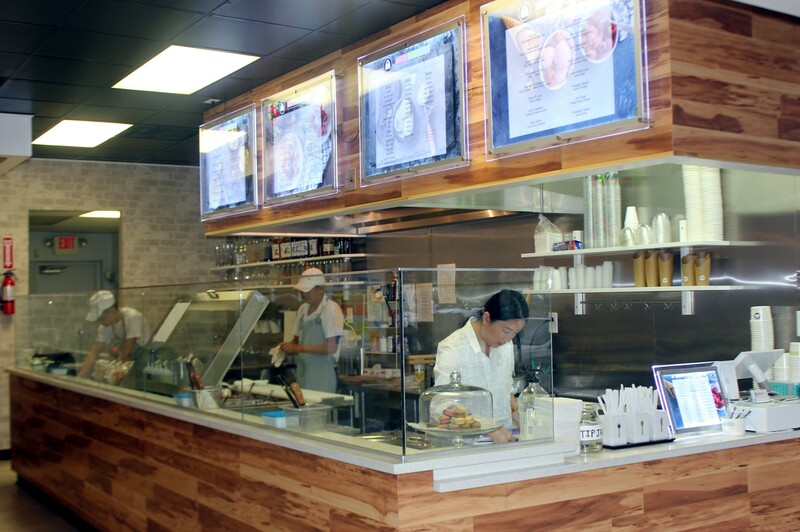 Order at the counter and watch them prepare your treat before your eyes. 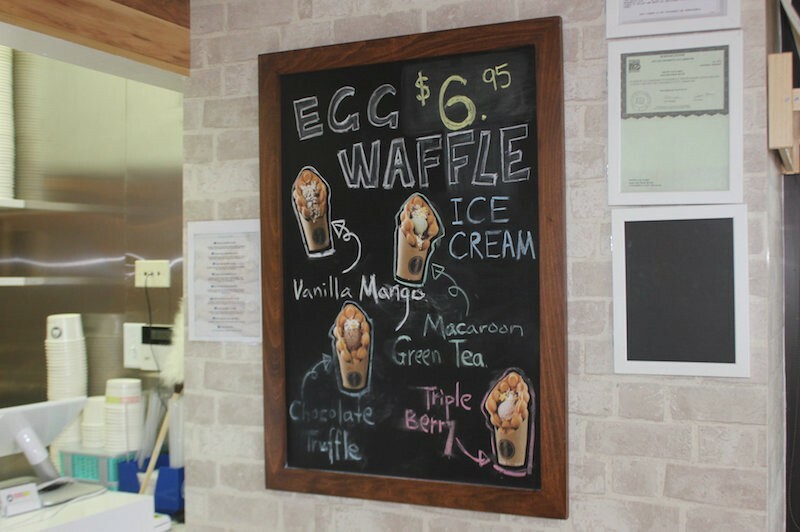 Now on special: Egg waffle ice cream. Van Liu works the waffle maker. 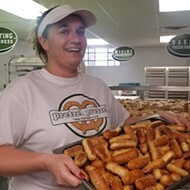 Each batch of batter is made fresh every morning. Owner Van Liu with a recent creation. 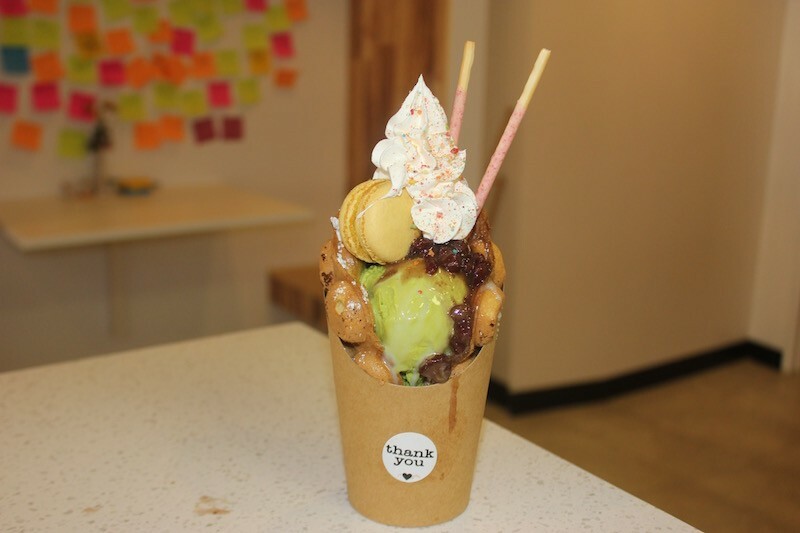 Treats are given elaborate toppings, including macarons, whipped cream and red bean paste.